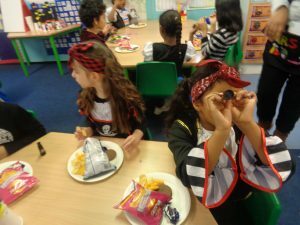 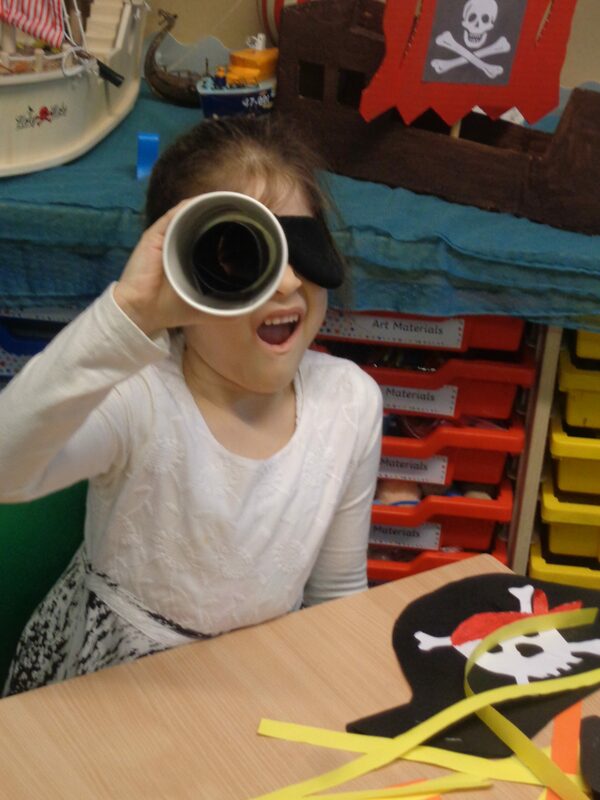 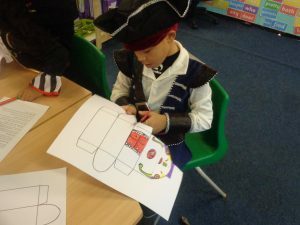 Pirates spotted in Year 2! 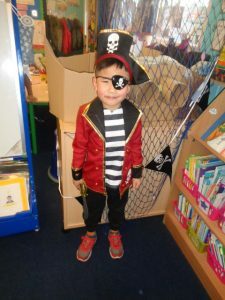 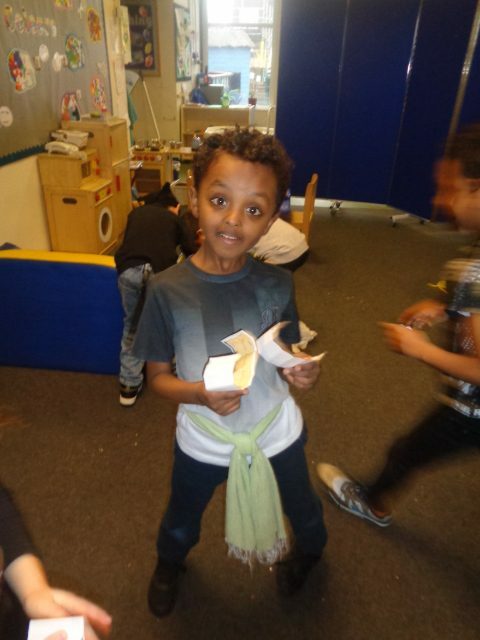 To finish off our topic, Year 2 had a fantastic pirate day where we all dressed up as pirates and started our own pirate crews! We started off by practising our own sea shanties that we had written ourselves …. 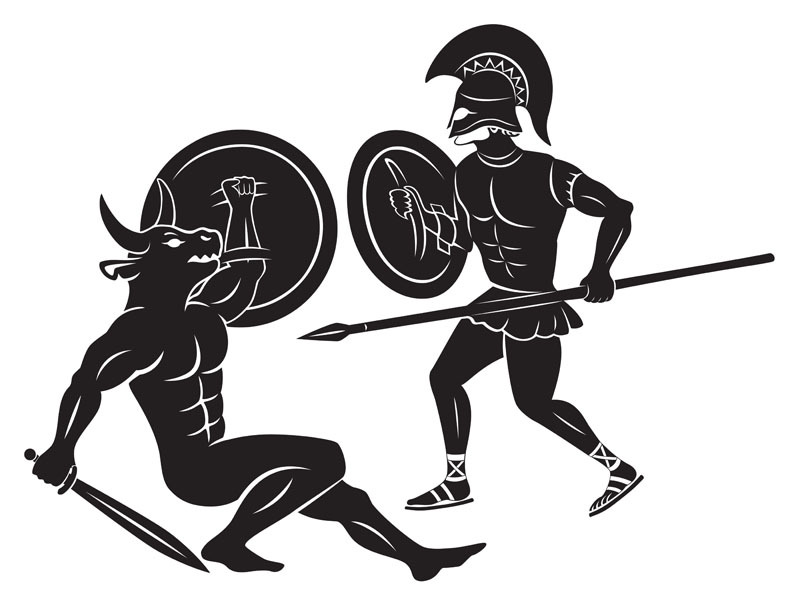 (photos to come!) 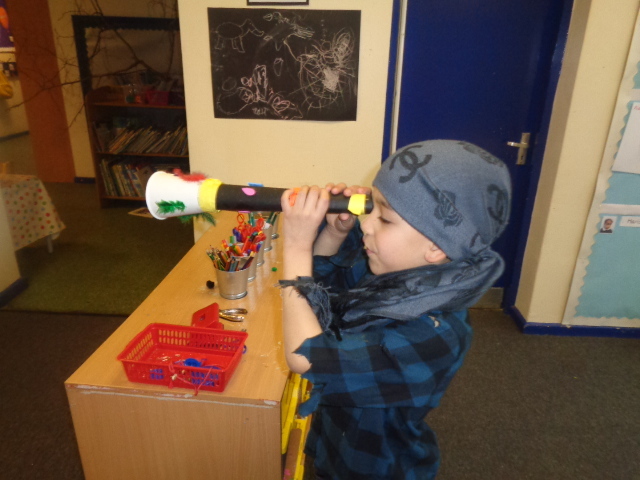 Then we made our own telescopes and treasure chests so that we could hunt for treasure and have somewhere to store our gleaming booty – shiver me timbers! 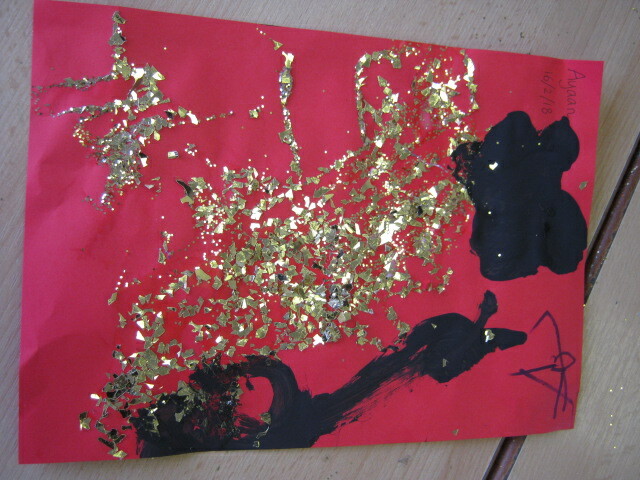 After lunch we went on our very own treasure hunt – where there’s gold, we’re a goin’! We had a brilliant day! 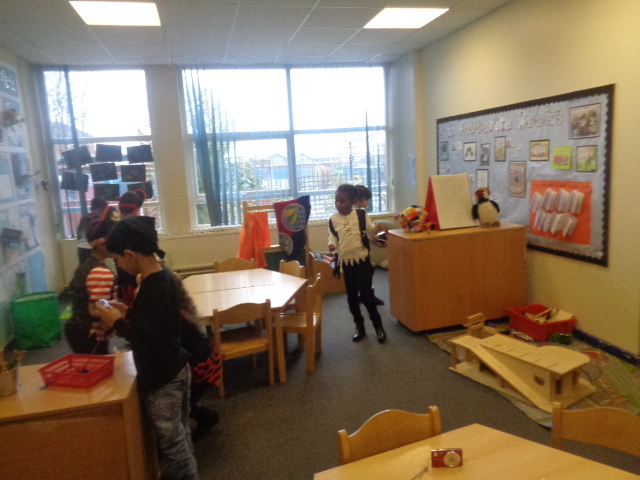 Everyone, including the adults took part the Calm me activity to help make sure we’re ready to learn. 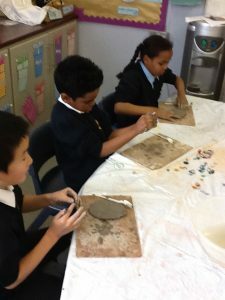 The children worked through their culture wheel and then compared their wheel with the other wheels in the class. 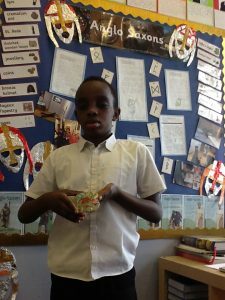 This helped them to understand what cultural differences and similarities they shared. 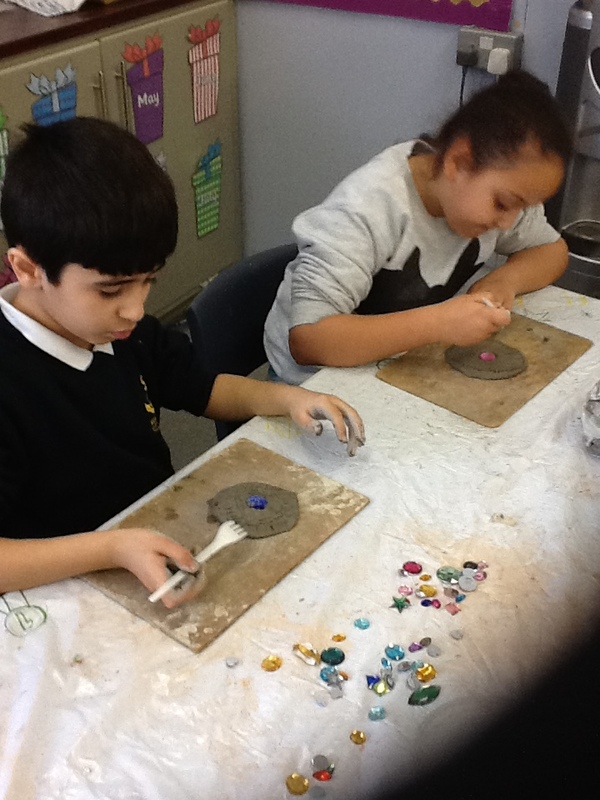 For ‘Tell Me or Show Me’, the class was divided into 6 groups. 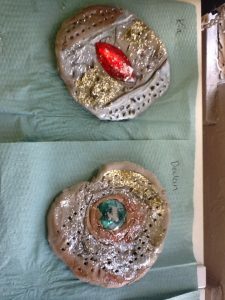 Each were given a blank culture wheel and a picture of a child. 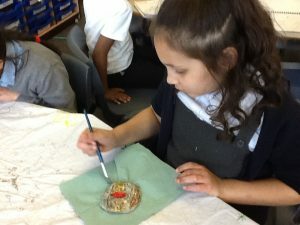 They then completed the culture wheel as if they were the child in the picture. Every group shared their wheel and were then told that all the children in the picture lived in the UK and were British citizens. For Tell me or show me, the class was divided into 6 groups. 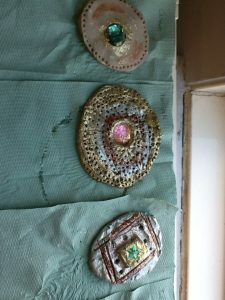 Each were given a blank culture wheel and a picture of a child. 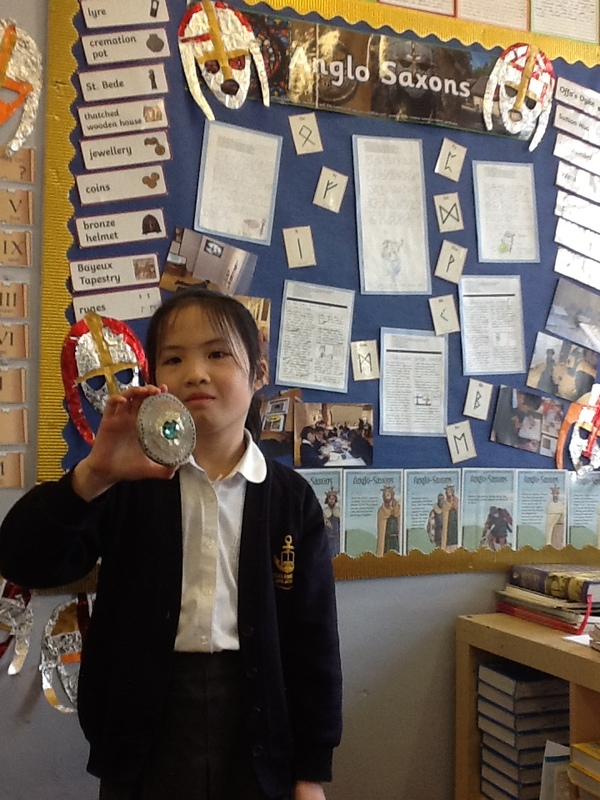 They then completed the culture wheel as if they were the child in the picture. Every group shared their wheel and were then told that all the children in the picture lived in the UK and were British citizens. 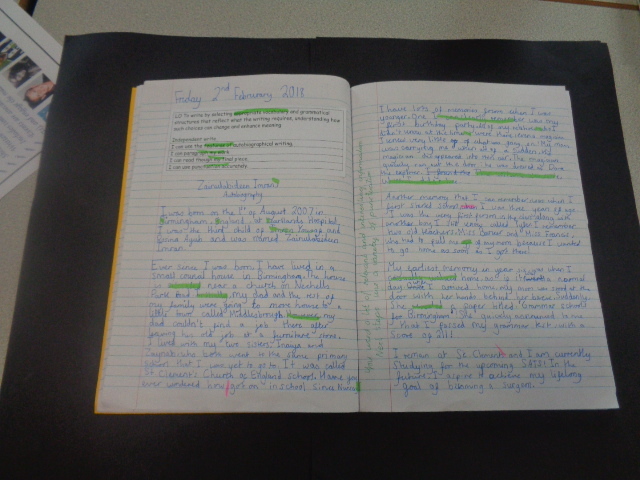 On Thursday last week wen started our Jigsaw lesson with the Calm Me exercise to prepare ourselves to learn. We then formed a circle and explained that Jigsaw Jo’s bag contained 2 pictures showing possible consequences of children’s behaviour. 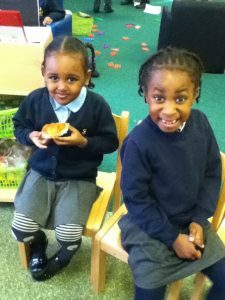 The children, in talking partners discussed both consequences and decided if these were appropriate or not in our school, giving reasons. 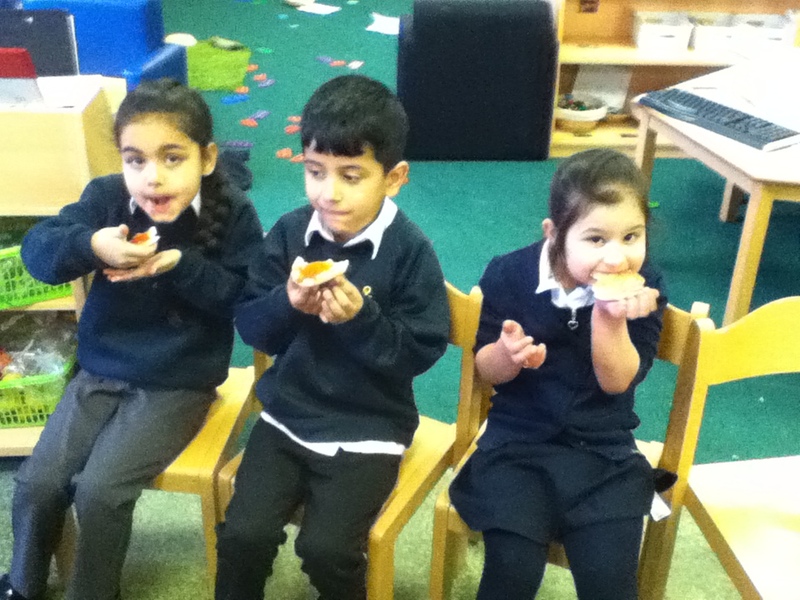 Last week on Thursday in Year 1 we started with the Calm Me exercise to prepare ourselves to learn. Then in pairs, the children took turns to read their ticket to their partner and say how they feel. 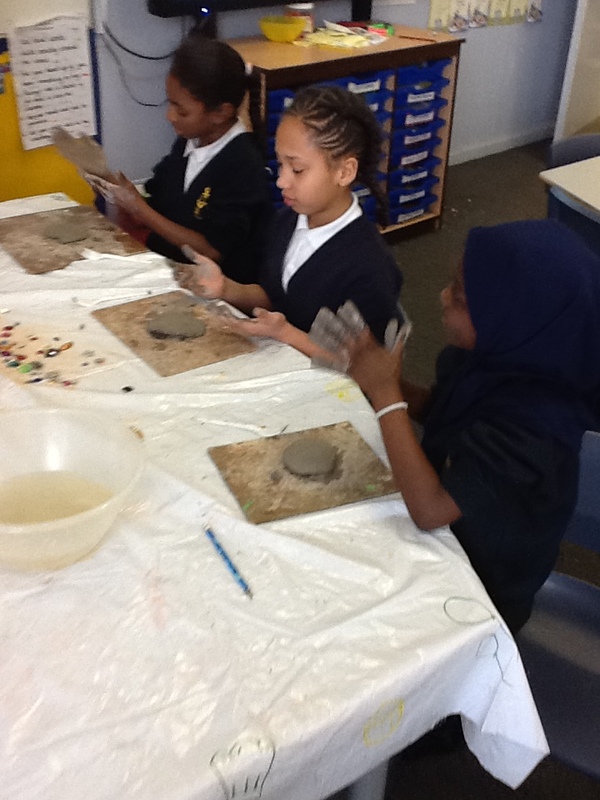 Do they feel proud, pleased, happy? 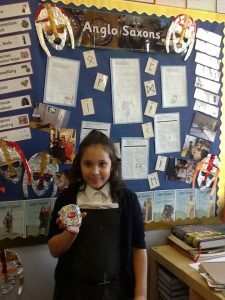 They then made a list of three rewards they would like to receive when they’ve achieved something of which they are proud. 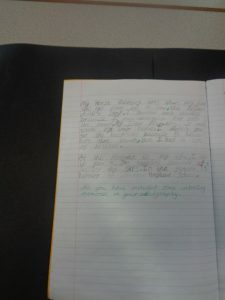 These ideas will then help to create the Learning Charter. 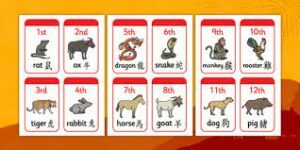 This has been the final week of the Theseus and the Minotaur unit where Y3 have been planning and writing their own Defeating the Monster tales. 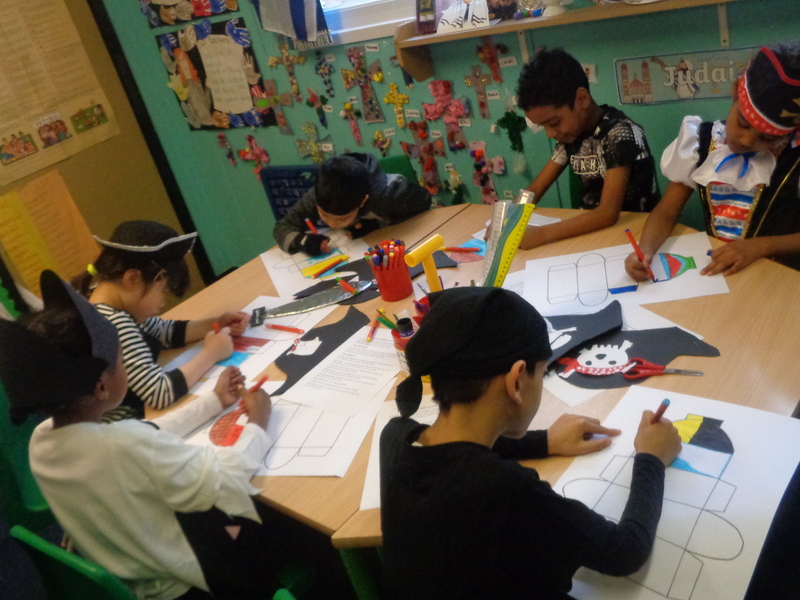 It all started with a simple story map to draw and then retell their own stories based around a ‘Defeating the Monster’ story. 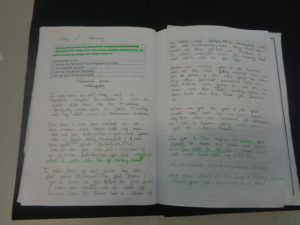 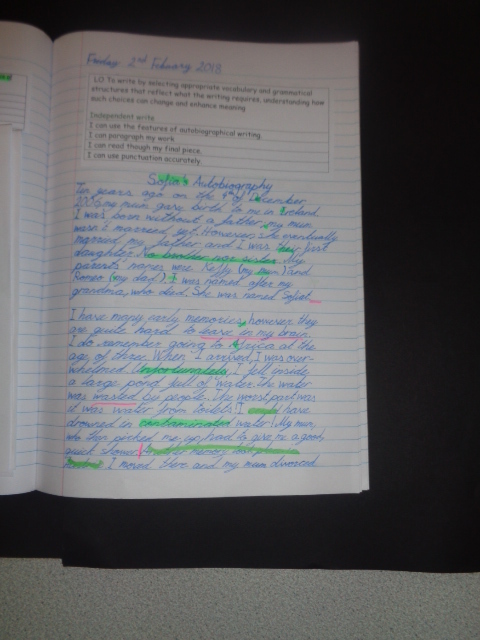 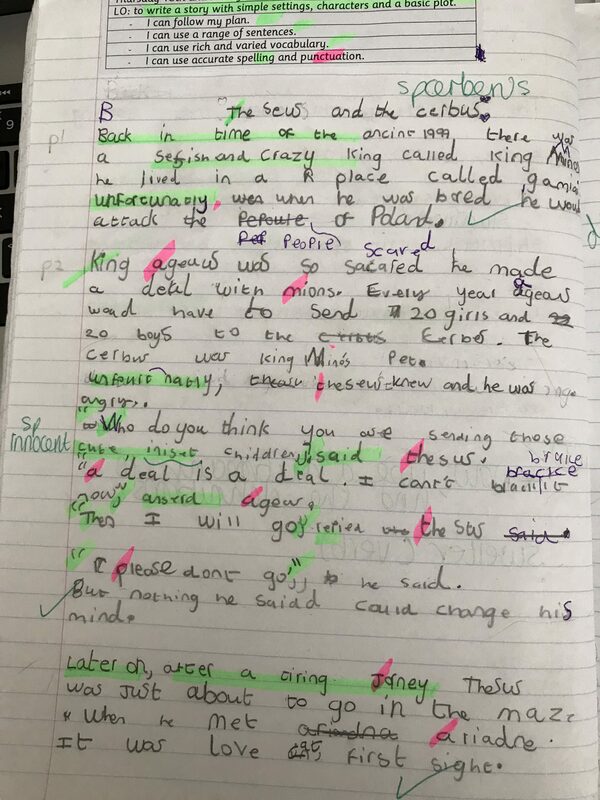 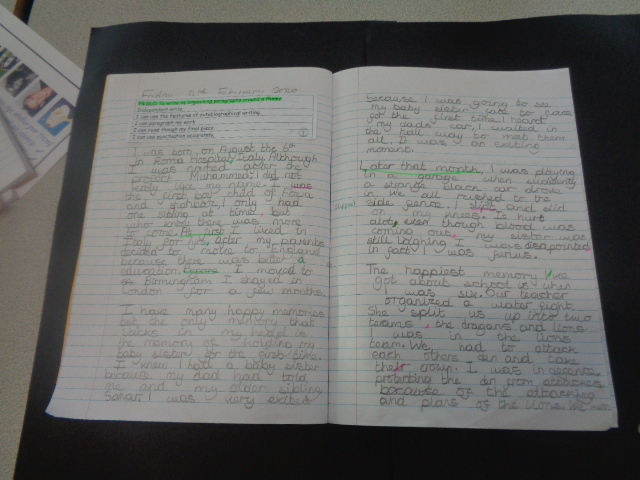 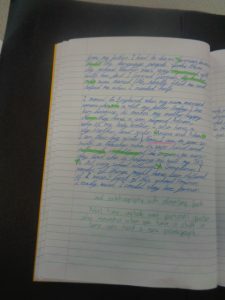 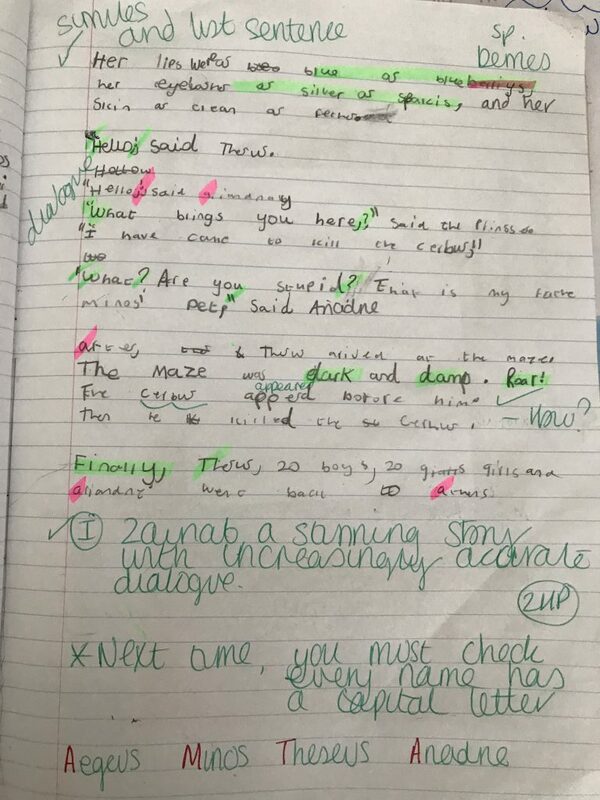 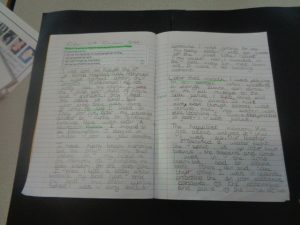 Then came the BIG writing… both Zainab and Aisha have truly astounded Miss Groom with the quality of their story writing! Zainab has followed her plan and the story arc to the letter and manged to complete her story AND go back and start to make changes and improvements with her purple polishing pen. 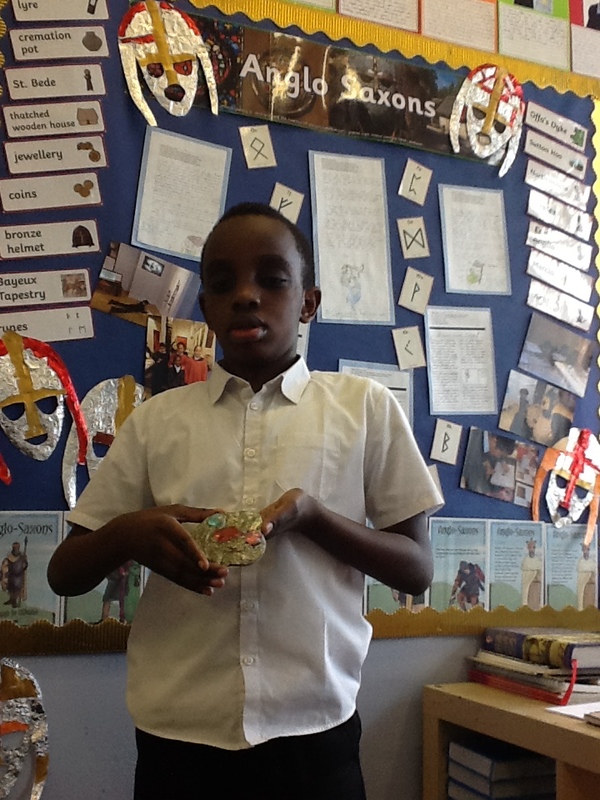 Aisha has included lots of accurate dialogue between her main character Theseus and his father, King Aegeus. 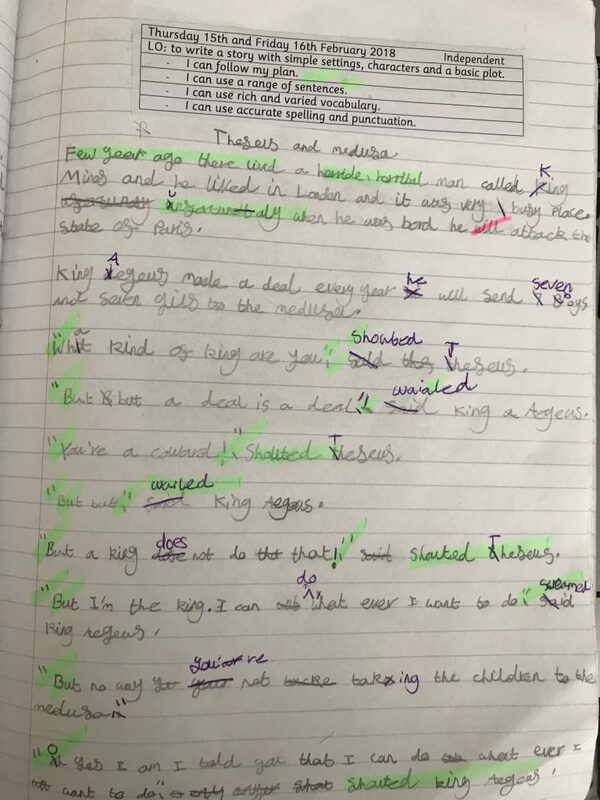 She has also spent time using her purple polishing pen to make changes to punctuation and also to improve her vocabulary by using synonyms for said. 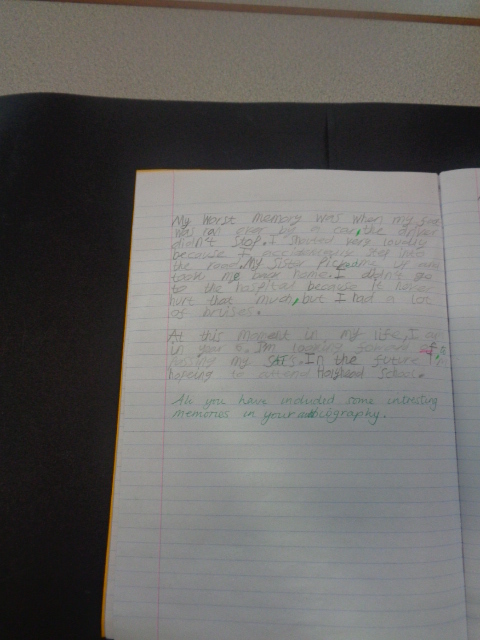 We have been looking at the differences between autobiographies and biographies. 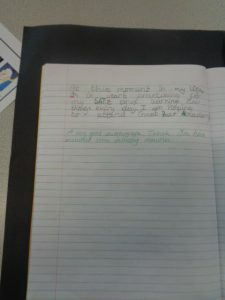 As a class we decided to write our own autobiography and have produced a super display. This is outside the classroom and pictures will be posted on the first week back. 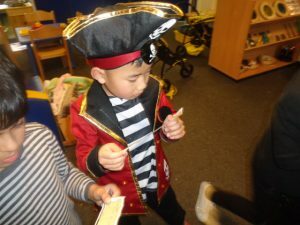 This week there have been lots of special days. 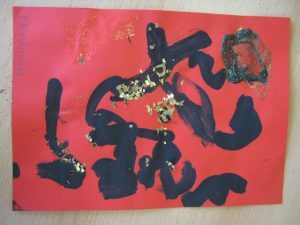 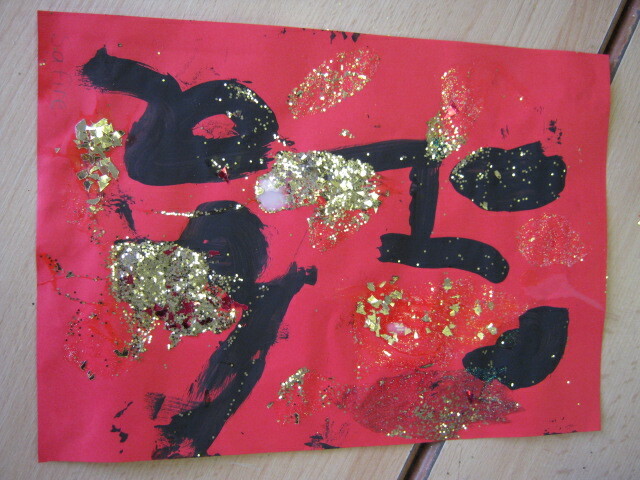 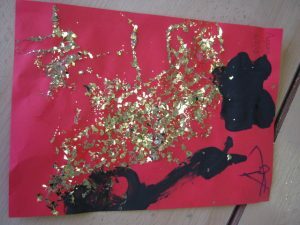 In Nursery we found out about how Chinese people decorate their homes and write good luck messages for each other. People also give each other money in red envelopes. We made our own decorations and good luck messages. 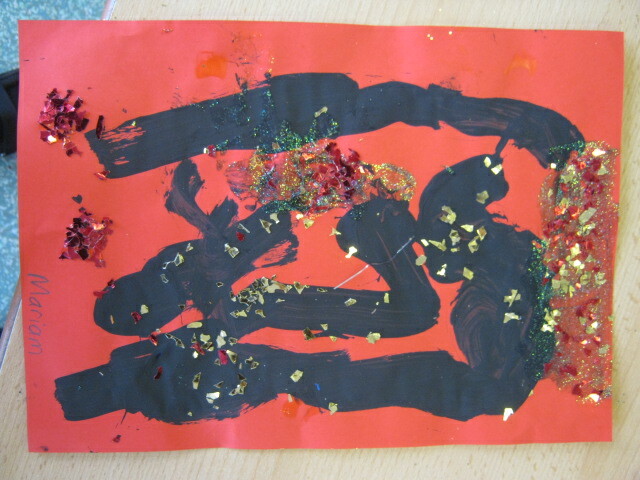 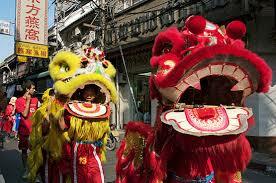 Both Nursery and Reception also watched a video of a traditional Chinese Lion and Dragon dance. 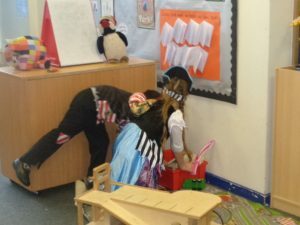 We all had great fun copying the moves and moving in time to the drums. 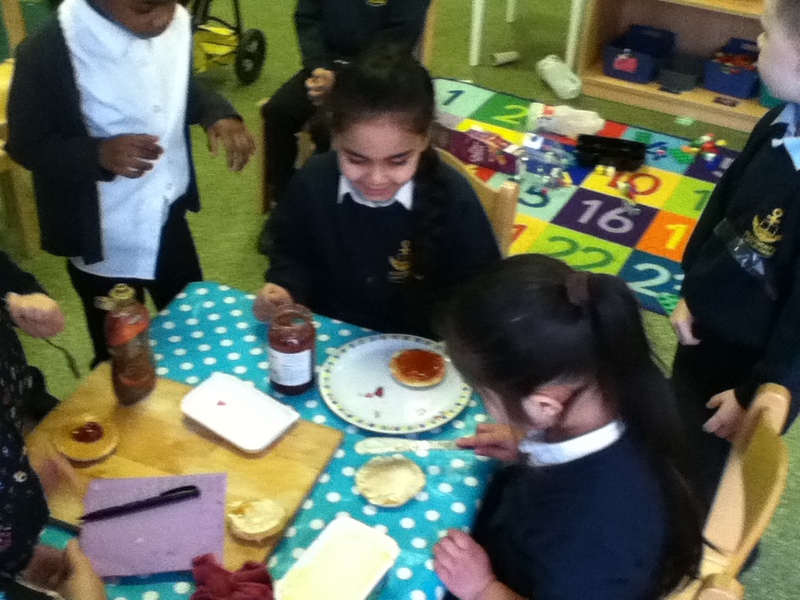 On Tuesday Reception and Nursery spoke about the importance of Shrove Tuesday to Christians. 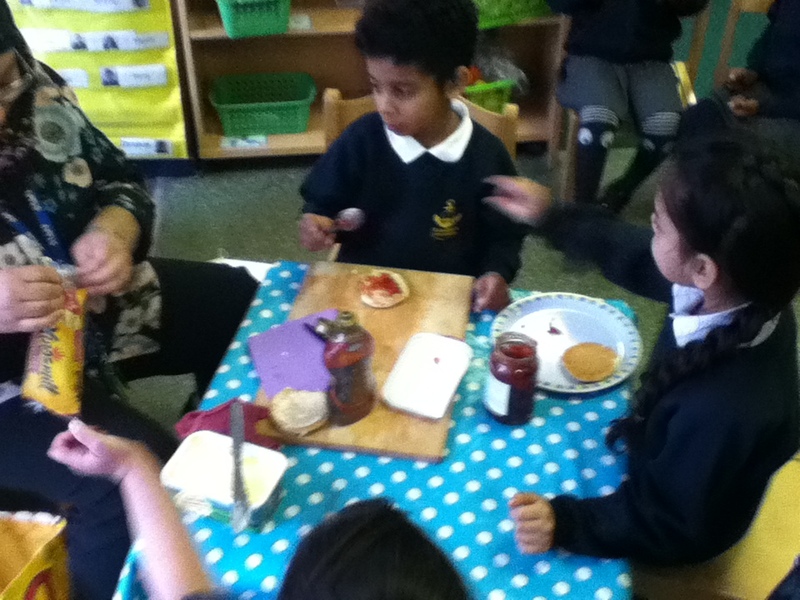 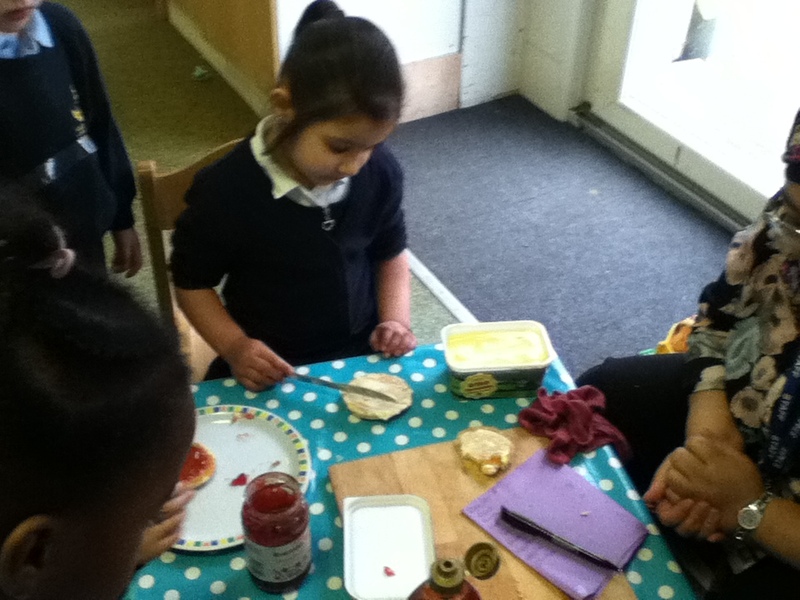 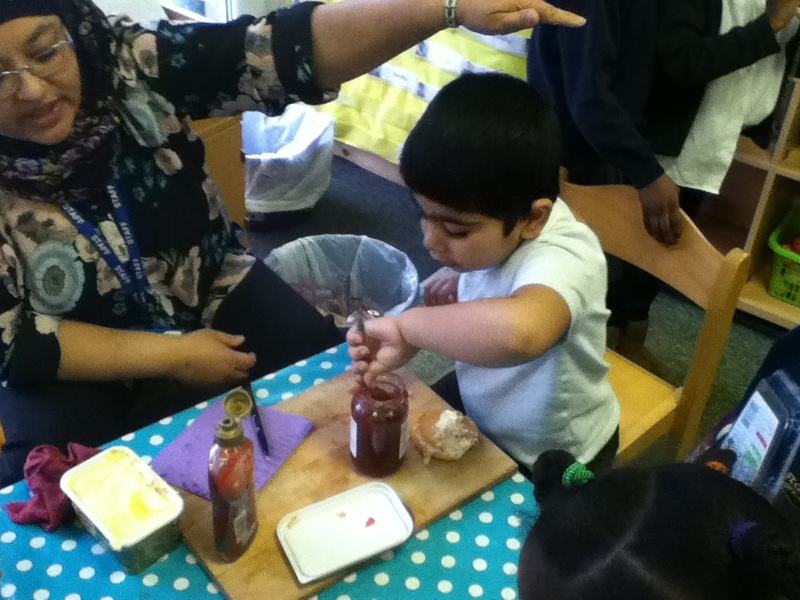 We decorated and tasted pancakes with different toppings including jam, butter and golden syrup. 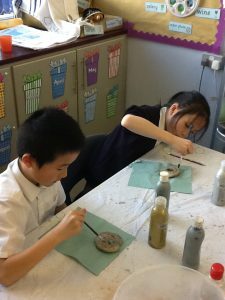 Mr Ricketts lead an assembly about Ash Wednesday marking the start of Lent. From this the children spoke about things adults and children may give up during Lent and what we could do instead. 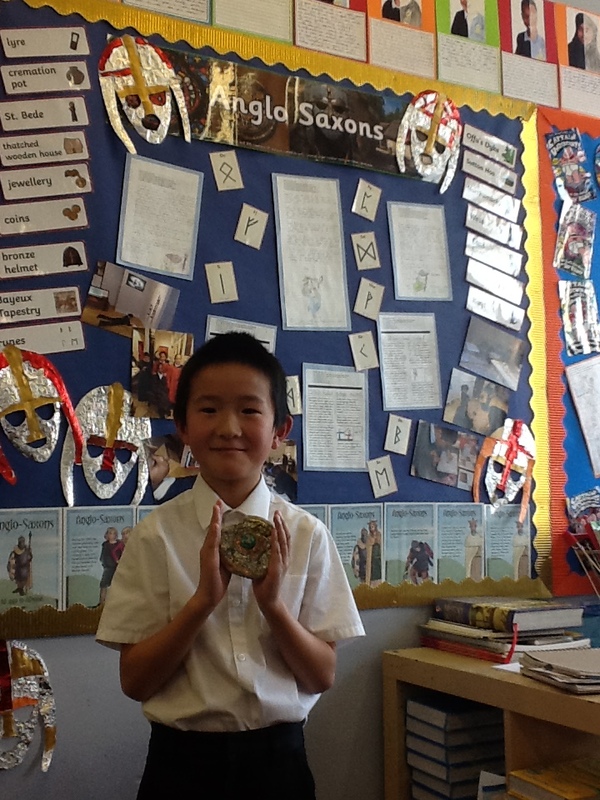 During this half term Year 4 have being studying the Anglo-Saxons. Over the last few weeks children have studied a range of pieces of Anglo-Saxon jewellery and the features that can often be found on them. 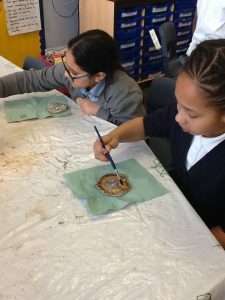 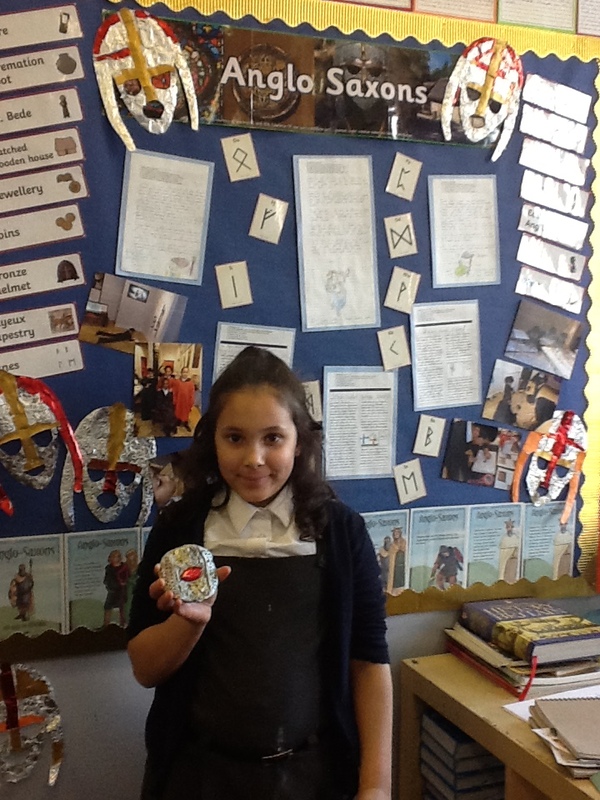 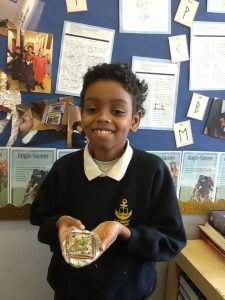 This week Year 4 used their Maths knowledge on symmetry and Anglo-Saxon art to created their very own Anglo-Saxon symmetrical brooches with clay. 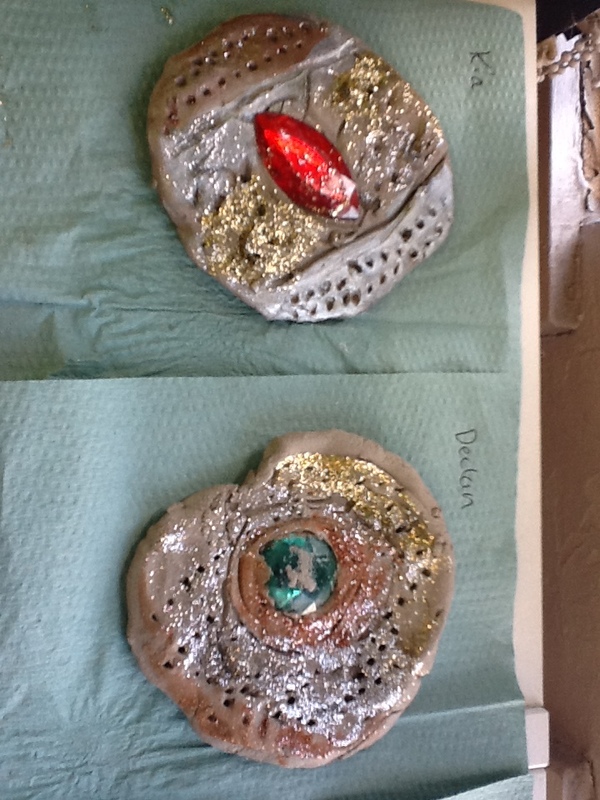 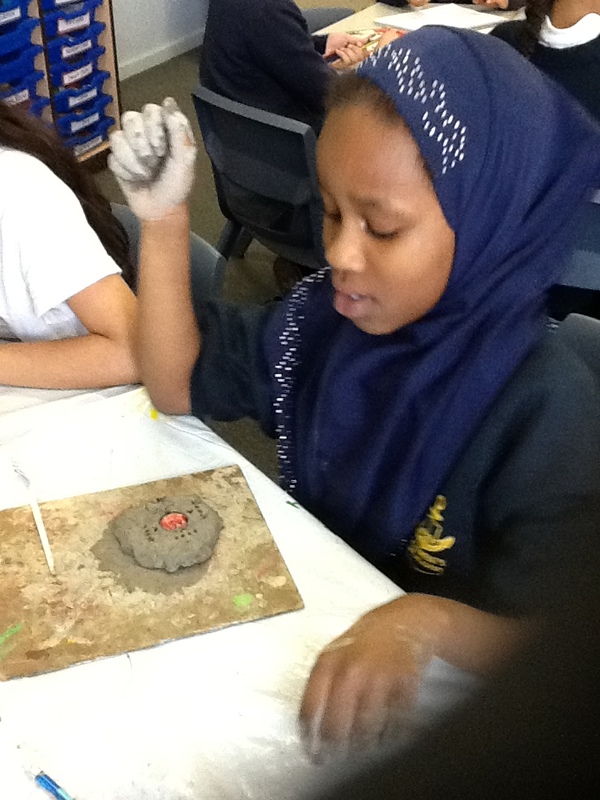 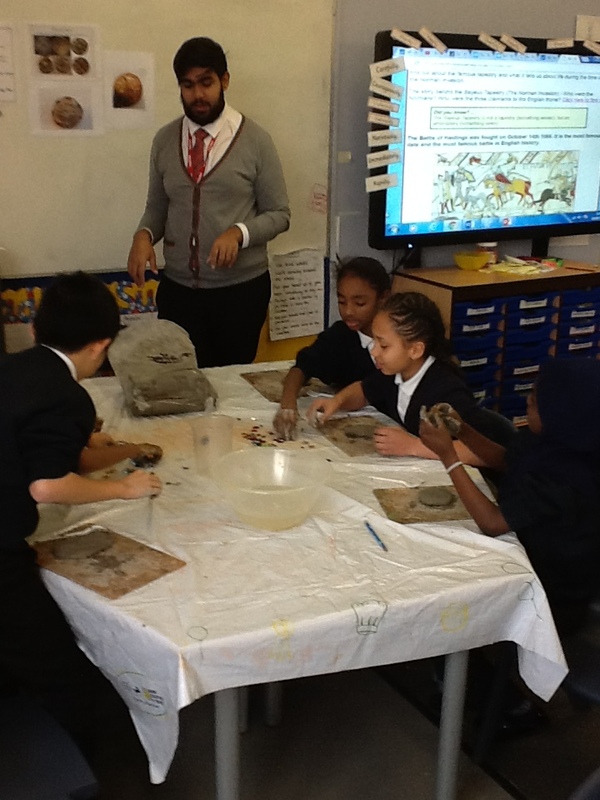 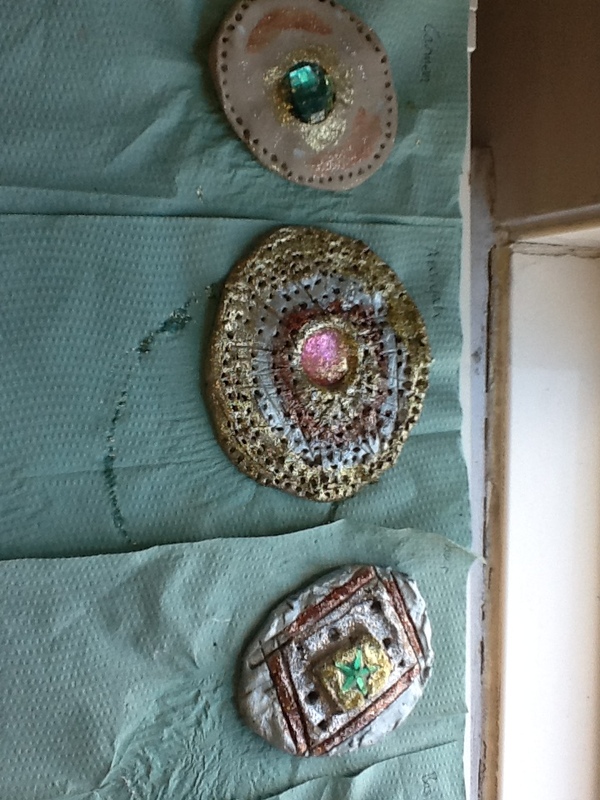 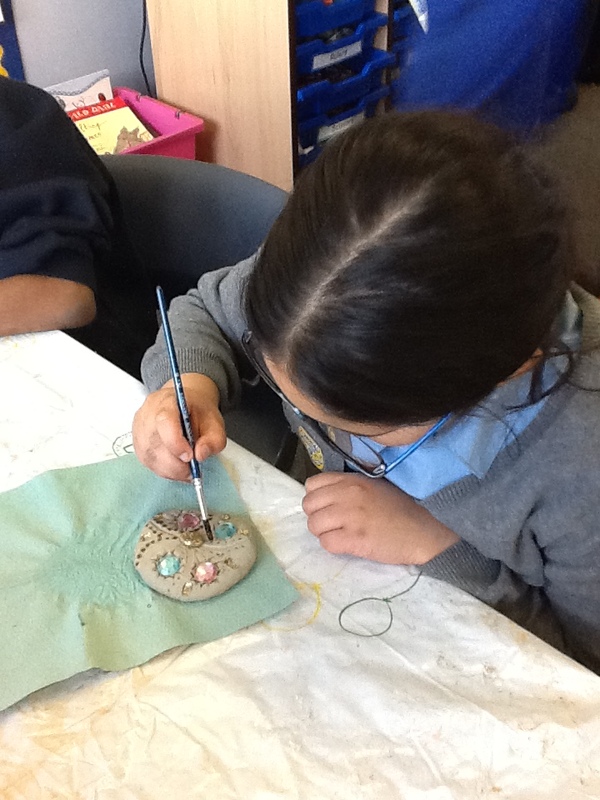 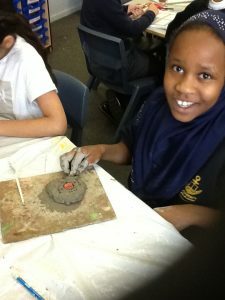 The children had lots of fun shaping the clay and following their design ideas to create their final piece of artwork. Here is a snapshot of all their hard work.